you have been swamped. you are burned, poisoned, confused, asleep, frozen, paralysed and DEAD. flip a coin. if heads slap your actual opponent in the face. If tails run around the block in undies. Comments : he will find you. 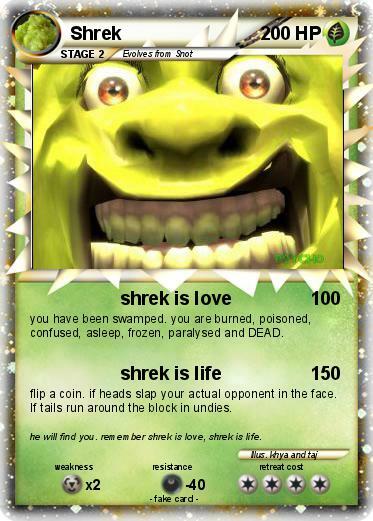 remember shrek is love, shrek is life.